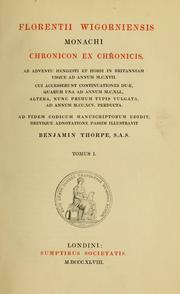 1 edition of Florentii Wigorniensis monachi Chronicon ex chronicis found in the catalog. Add another edition? Are you sure you want to remove Florentii Wigorniensis monachi Chronicon ex chronicis from your list? 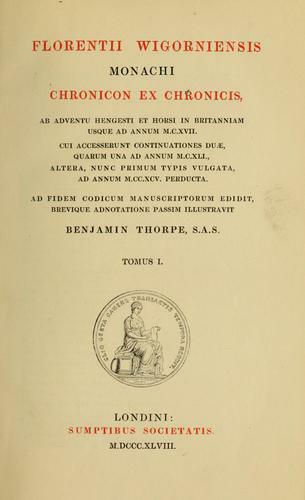 Published 1848 by Sumptibus societatis in Londini . The first continuation, 1117-1141, was written by John of Worcester; the second, 1152-1295, was the work of John de Taxster of 1265, continued to 1295 probably by John of Eversden. Cf. Dict. Nat. Biog.